Love the gold you used, very pretty! I'm also thrown off with the time change, guess it will take time get used to. ah i love this makeup so much..you are so good..i mean, it looks so clean. this is going on my inspiration folder. take care. awww thanks so much Asta!! actually, you might, it's shimmery so it's more versatile than matte!! Oooooo that's a gorgeous look, I so want to try it! that gold is gorgeous babe!!!!!!!!!!! je suis toujours aussi FAN de ton travaille !!!!!!!!!!!!! I love that golden yellow color! Love this look! The gold and gray are the perfect combo!! Such a glamorous look! Your eyes are soooo~~ gorgeous! absolutely stunning love this colors on you eyes! this look is simply gorgeous love the yellow and black together you did amazing !!! So amazing. I will definitely try this. I am luvin the yellow shade...gorgeous! Thanks for this look!!! I've always been a fan of this combo & it was nice to see someone do it. omg lady ima steal your eyebrows!! i prolly have said that a zillion times to you!! lol... very pretty look!! the gold makes it pop!! 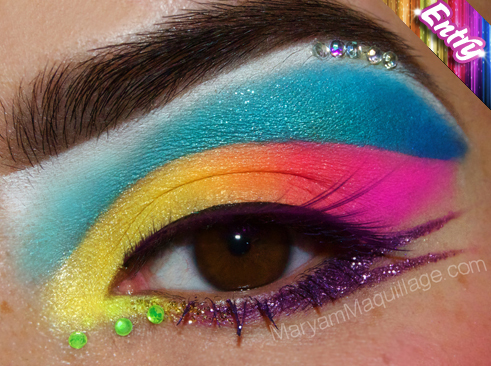 This make-up is just perfect!! I love it! Verry nice I love this look ! i love it! beautiful as always! do you have a youtube channel? Wow, amazing blog :D! I am now following you. I hope you check out mine and follow: http://the-proverbs.blogspot.com thanks for your time and God Bless! Unng. I still haven't caught up my hour of sleep. As usual, a stunning EOTD. I love the highlighter you used on your inner corner. The lash accents look so natural! Wow, such a striking look. Flawless. This is AWESOME! Talented much? WOW! Look at that color. This is stunning. 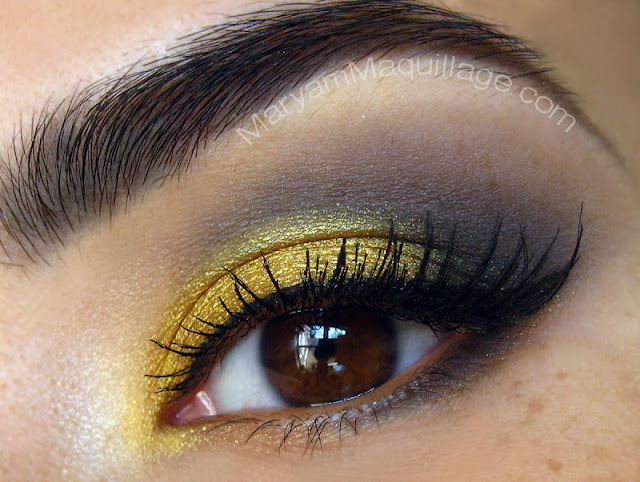 Love that gold eye shadow! Daylight savings completely f's me up. That gold is gorgeous on you, beutiful makeup! !